As the season draws to an end the penultimate tournament sees the European Tour pitching up in Hong Kong at no less a track than the Royal Hong Kong Golf Club, now known as the Hong Kong Golf Club, after dropping the Royal back in 1997. The club was founded in May 1889. Permission was obtained to play at Happy Valley, an area that was also used for football, polo, hockey and military parades, so the golfers had to take their turn. By 1891 membership had boomed, so a small shed was built where refreshments were served. Due to the “crowded conditions”, from 1896 ladies were only permitted to play golf on a restricted basis. As the membership grew the Captain and Club officials were forced to find a new location. In September 1898, land at Deep Water Bay was found and the land was leased with the agreement of the Government and a clubhouse was built in the same year. In 1903 Happy Valley was turned over exclusively to the Golf Club, except for Wednesdays and Saturdays when soccer and cricket were played. Ladies were only allowed to play on Sundays. In 1911 negotiations took place with the Government and local farmers to secure sufficient land in Fanling to build a full 18 holes. The Old Course open for play at the end of 1911. Additional land was acquired in the late 1920’s for the New Course, which opened in November 1931. A third course, the Eden was added in 1970. The first Hong Kong Open took place in 1959 and was won by Lu Liang-huan. Other notable winners are 5 times Open Champions Peter Thompson, who has won the title three times, and Tom Watson who won the title in 1992. Other Open Champions who have won here are Greg Norman and Padraig Harrington. Other major Championship winners are Masters’ Champions Ian Woosnam, Bernhard Langer and Jose Maria Olazabal. Rory McIlroy (5/1) last four tournament finishes speak for themselves, he played four and made the Top 5 in all four with a second place and two third place finishes. Out of the seventeen tournaments he has played this year on the European Tour he has finished in the Top 10, no less than eleven times, seven of those being Top 5 finishes. A slight contrast to Pádraig Harrington’s (20/1) last four tournaments. 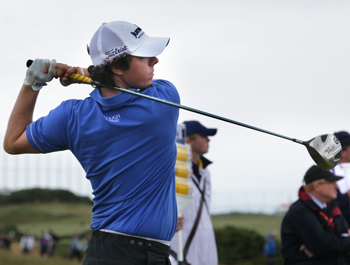 Pádraig has finished in the Top 20 in three of those tournaments, but did miss the cut at the Barclays Singapore Open. He comes into this tournament on the back of a third place finish at the Iskandar Johor Open. 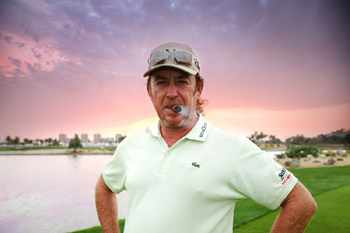 Players always turn up at a tournament full of beans when they are previous winners, so Miguel Ángel Jiménez (33/1), should be buzzing, he has won this tournament on two previous occasions and comes into this tournament in good form. Richie Ramsay (40/1) has been in good form in the last couple of months. Richie missed the cut here last year so will be looking to have a better tournament this year. Grégory Bourdy (40/1) won here in 2009 and finished eleventh last year so he obviously enjoys playing on this track. It’s been a rollercoaster year for Grégory, he has had eight Top 20 finishes but has also missed eleven cuts. He did have a good finish at the Iskandar Johor Open, so he comes into this tournament with a bit of confidence under his belt on a track where he has previously won. Another previous winner here is José Manuel Lara (66/1) who won the title back in 2006. José is another player who has had an up and down season, his best finish being a third place at the Sicilian Open and has had another seven Top 25 finishes.